Fall has arrived in Starbucks stores everywhere. 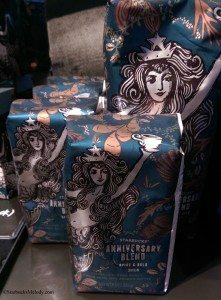 Anniversary Blend is back, and is available for the Verismo, as a whole bean coffee (in either half or whole pound bags), and is available in the K-Cup format too. There are beautiful new mugs and tumblers. 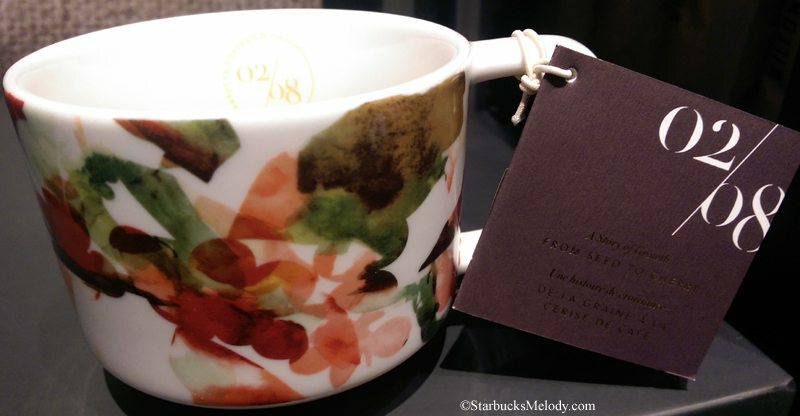 I especially like the new coffee cherries-inspired mug found in a decorative box. There are a series of mugs called the “Siren Collection” all of which are beautiful. And the Pumpkin Spice Latte Via is now available everywhere. I tried the Pumpkin Spice Latte Via yesterday and I was very surprised at how good it is! 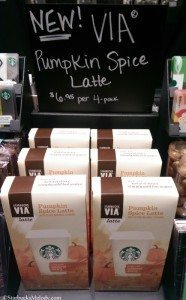 That is a great option for making a Pumpkins Spice Latte at home. I dropped by two Starbucks yesterday morning, both in Seattle’s University Village shopping area. 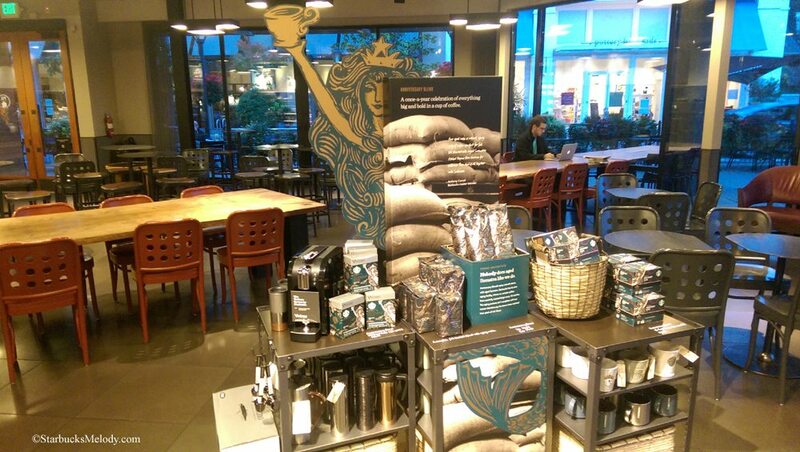 One is store 302, which is the first University Village Starbucks (and is the second store in the whole company), and the other is the new Reserve – Evenings Starbucks, sometimes called “University Village 3” Starbucks. The newer University Village 3 store has a style of merchandise wall that is coming to more and more stores, but still fairly rare to see. 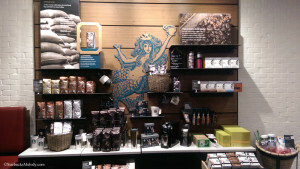 (The Pike and Broadway Starbucks in Seattle also has this kind of concept merchandise wall). I took some photos and just wanted to share. Do you have a favorite new fall thing at Starbucks? I LOVE the Coffee Artisan Series!! I waited patiently until the new set came out yesterday and couldn’t wait to get mine! How sad I was to find out that only (as far as I can tell) the Reserve/Clover stores got those mugs. Luckily, there is such a store close by! I think the coffee cherry one is absolutely gorgeous. I see that the series will go to eight mugs. I’m having quite a fun time trying to figure out what the other six are going to be! I hope the roasting process one has tons of color to it! 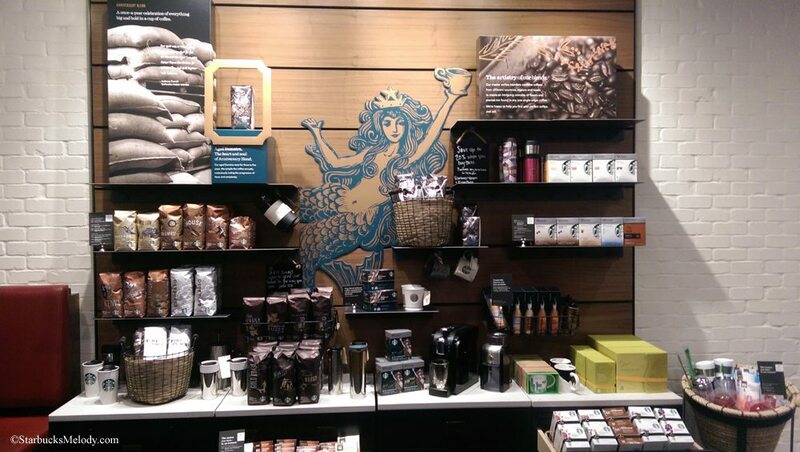 The blue Siren mug makes me think “dat tail tho”, but in a nice way. I will have difficulty resisting the urge to take a Siren selfie as well. Finally, the Anniversary Blend packaging is some of the prettiest I’ve ever seen from Starbucks. Alright, one more, haven’t had a chance to French Press the Thanksgiving Blend (OR open, OR grind the beans), but I’m so looking forward to it. Love when Anniversary comes out as it is when I started with the company so it has a special place in my heart! 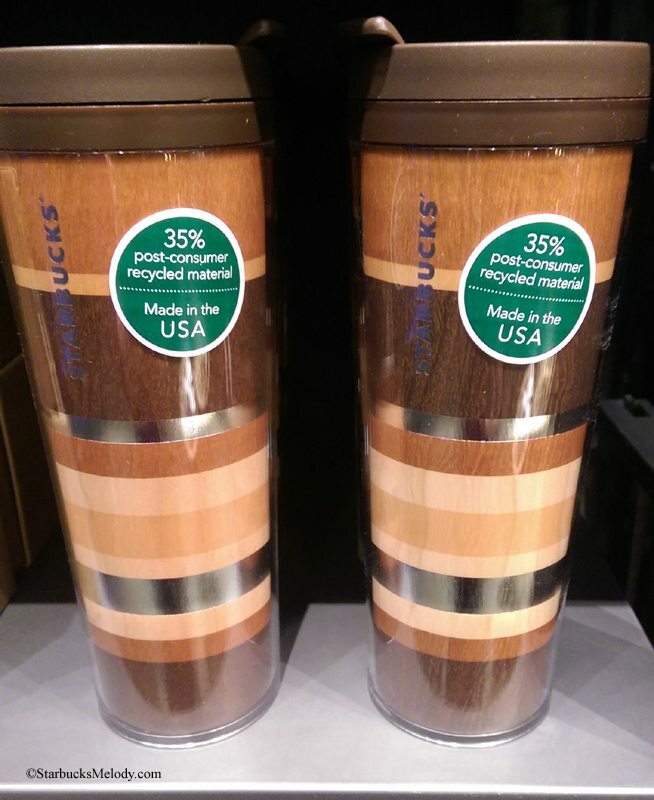 We didn’t get half the cute cups and tumbles you guys got, the wood one is cute! I have to say, I always look at the new merchandise but I have come to resist buying any of it. I am just way too overloaded, especially with cups and mugs. I have many packed away because I have no room. This is from years of loving Sbux. I clearly remember when Anniversary Blend first came out. I didn’t like it then and still it’s not a favorite, for sure. I do look forward to Thanksgiving blend…..one that I think is always out for way too short a time. It all looks so nice. 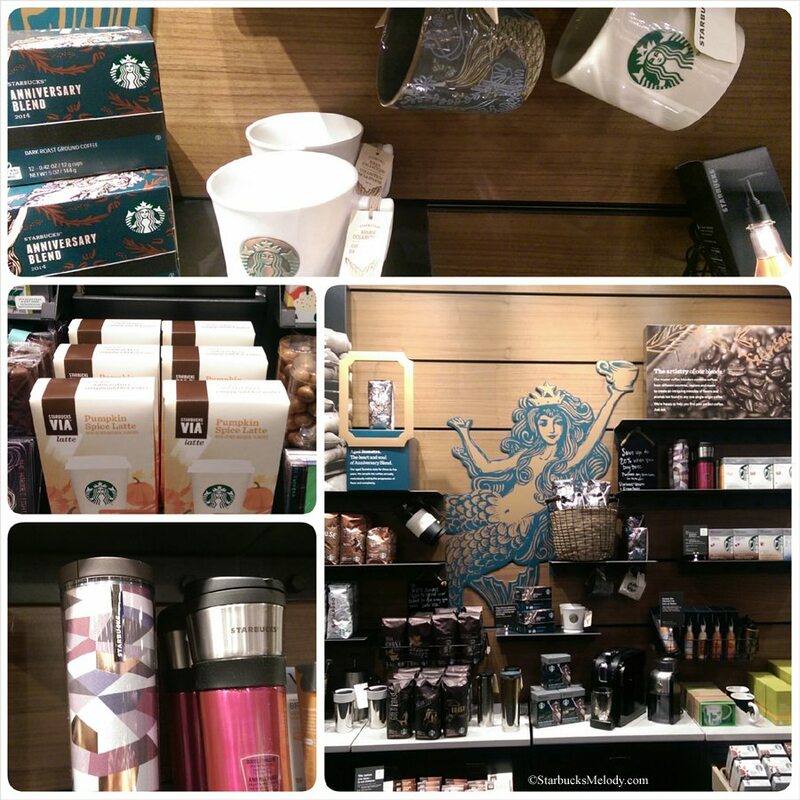 I should resist buying anything but that Siren’s Tail mug is calling my name! I’ll decide when I see it in person but really think it’ll be in my kitchen soon. I see where they are offering a free taster’s cup with purchase of a lb. of Anniversary Blend in the online store. Wish they’d do that more often with other coffees since I do have last year’s and Anniversary Blend is just not one of my favorites. Thanks for a look at all the new fall merchandise! 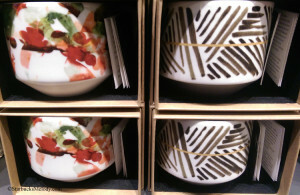 @denise r: I do remember some people saying they had ordered those taster cups and didn’t get them. I’ve been lucky to get the ones I’ve ordered so far but they definitely should not run out. Maybe they’ve learned from that last fiasco but I’d be wary.